The bacterium produces an enterotoxin that causes a copious, painless, watery diarrhoea that can quickly lead to severe dehydration and death if treatment is not promptly given. Vomiting also occurs in most patients. Among people who develop symptoms, about 80-90% of episodes are of mild or moderate severity and are difficult to distinguish clinically from other types of acute diarrhoea. Less than 20% of ill persons develop acute watery diarrhoea with moderate or severe dehydration. People with low immunity, such as malnourished children or people living with HIV, are at greater risk of death if infected. 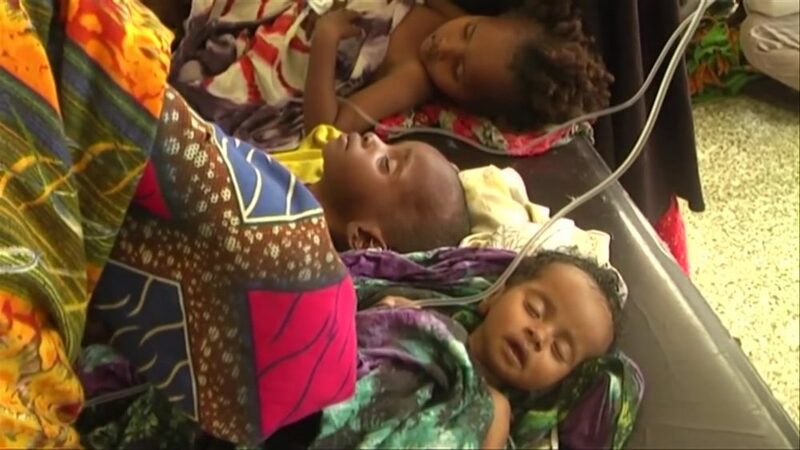 Cholera remains a public health threat in the Region and is one of the key indicators of social development. While the disease no longer poses a threat to countries with minimum standards of hygiene, it remains a challenge to countries where access to safe drinking water and adequate sanitation cannot be guaranteed. For this reason, a multidisciplinary approach based on prevention, preparedness and response, along with an efficient surveillance system is key to mitigating cholera outbreaks, controlling cholera in endemic areas and reducing deaths.